Mobile Ready Websites!Valley Technologies – Your Web Solutions Experts! As more people are beginning to use mobile devices, like smartphones and tablets, for every task that used to be only capable on desktop, one thing has become clear: mobile is taking over Internet surfing. And, it’s not even just surfing. It’s everything from browsing social media outlets, checking emails and doing online shopping. Because mobile Internet usage is increasing steadily, it’s extremely important that your website is mobile friendly. 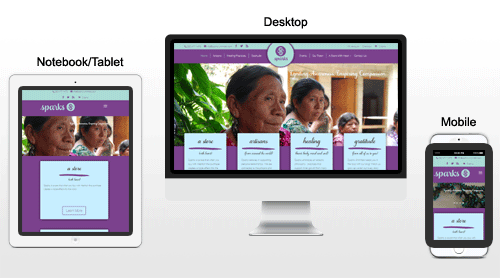 Responsive design, developed to work well on all platforms is the sensible way to approach a website in today’s fast-paced technological era.